Daryn Rush is Co-chair of the Reinsurance Group. His bio is available here. I was introduced to Philadelphia Futures by a former colleague who was a board member. 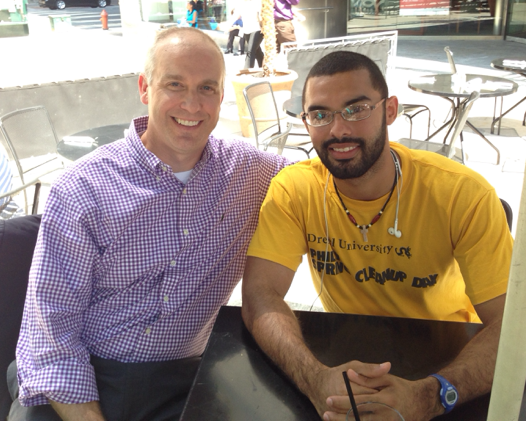 My involvement as a mentor in the Philadelphia Futures Sponsor-A-Scholar Program has been incredibly rewarding. I have had the privilege and pleasure of witnessing the transformation of a determined but unsure teenager from an under-performing city high school grow into a confident and highly successful young man who is now thriving at Drexel University. His dedication and drive to succeed are inspiring and humbling. As a society, we give up too quickly on those we are told have the odds stacked against them. We are bombarded with grim news of our inner city schools and forget that most of the kids in these schools want to succeed just like everyone else. Our leaders have failed repeatedly to remedy the problems on a large scale, and it may very well be that a global solution is not possible. But that should not discourage us from helping students one at a time. My mentee, Jon, is a perfect example of someone who just needed the opportunity along with some guidance, discipline and encouragement. Philadelphia Futures is a highly successful program that targets promising students and puts them on a path to success.